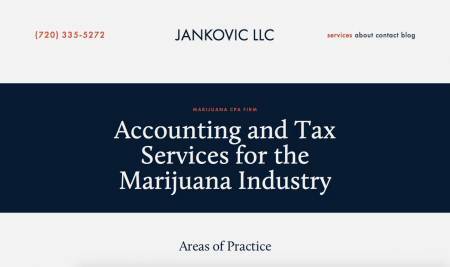 MJ CPA & CO is a Cannabis Accounting Services Business. 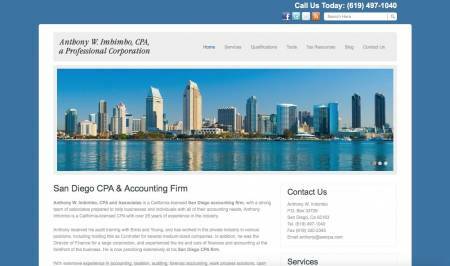 Anthony W. Imbibio and Associates is a Cannabis Accounting Services Business. 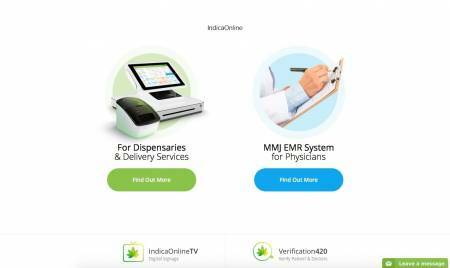 IndicaOnline and MediBook is a Cannabis Accounting Services Business. BioTrackTHC is a Medical Marijuana Dispensary Software and POS System. 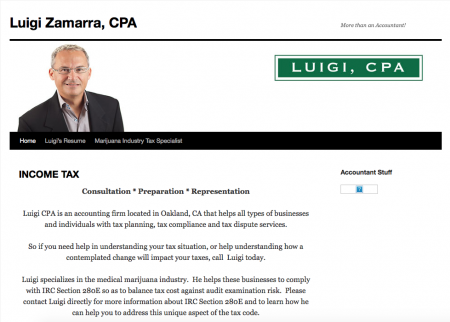 Luigi Zamarra is a Cannabis Accounting Services Business. 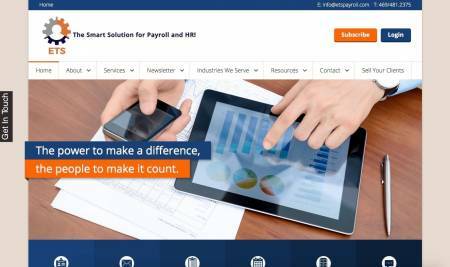 ETS Payroll is a Cannabis Accounting Services Business. Todd Andreff EA is a Cannabis Accounting Services Business. Astoria Tax Specialist is a full service tax advisor.